The French coast guard had its work cut out for it on Christmas day as they found some forty migrants, including children, trying to cross the British Channel in five small rubber boats. In the end, all forty were rescued Tuesday morning off the coast of Calais. They had gotten in trouble trying to illegally cross the last part of their long journey. Related coverage: Brexit - France To Block Calais Tunnel Till UK Pays $50 Billion Divorce Bill (Video). The maritime prefecture of the Channel and the North Sea has complained to authorities both on the British and French side of the channel about the busy end of year period for their services due to the Brexit clock running out. According to the British Interior Ministry, who has contacted their French counterpart, most of the migrants come from Iraq, Iran, and Afghanistan. British authorities also took part in the rescue operations. They saved another six adults and two children some 22 kilometers north of Calais in the afternoon. The migrants tried to reach England with a small boat, but that boat had engine trouble. 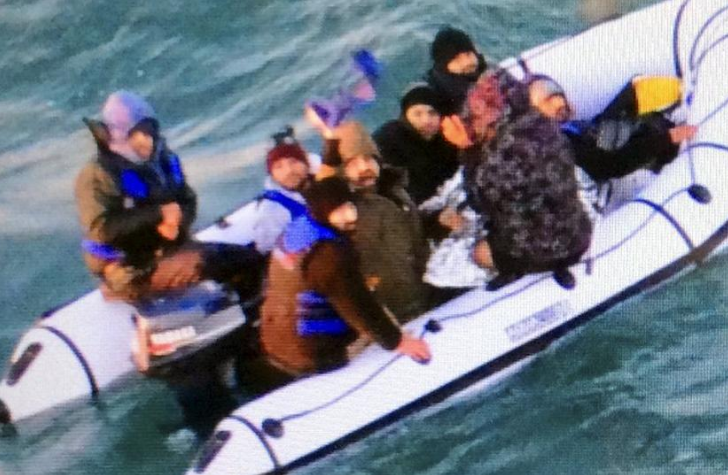 Related coverage: UK - Migrants Try Desperately To Cross British Channel. Two merchant ships had noticed the boat at about 22 kilometers north of Calais. A helicopter and a specialized tugboat for rescuing ships in distress were then deployed. Ever since October, the efforts of illegal migrants to cross the Channel have increased despite the danger posed by the hustle and bustle of shipping traffic, the strong currents and the low temperature of the sea water. The length of the sea is about 40 kilometers wide at the narrowest point but it provides the quickest way to the UK from the European mainland. The government of French President Macron had the migrant camp known as ‘the jungle’ in Calais dismantled and ever since then the concentration of migrants as well as the trouble for truck drivers at the tunnel crossing has lessened, but the illegal crossings via small boats has mounted. Other migrants have tried crossing via Belgium and Holland as well. The EU expects that the pending Brexit deadline of 29 March 2019 will mean a very busy winter ahead in terms of illegal migrant crossings on the British Channel.